Don’t miss out on this 3-bedroom one bath home on a quiet street in Homewood Park close to 38th & High School Rd. The exterior is all brick with a one car garage and a newer roof. It also a has fully fenced back yard. 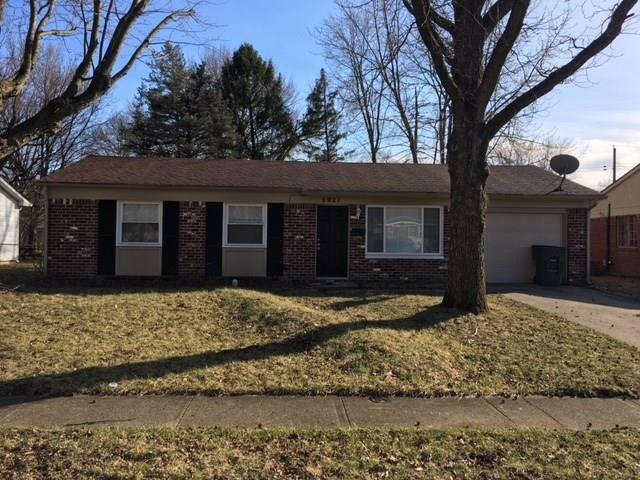 Inside the home has had many updates including new vinyl flooring in the kitchen & bath, new kitchen cabinets, new bath vanity, stove, refrigerator, dishwasher, & vent hood. There is also newer paint and carpet. This would make a great 1st home or investment property. Directions:From 465 on west side take 38th St east. Turn right on Kiel Av which is next light past High School Rd. Then turn right on Ruskin Pl. Turn left on Earl Av & then right on Falcon Ln. The house is on the right.